Black and white coat is a staple for fall fashion. The dull weather can be lightened and brightened with color white. It might seem like the most simple combination but it never fails to create a style statement. 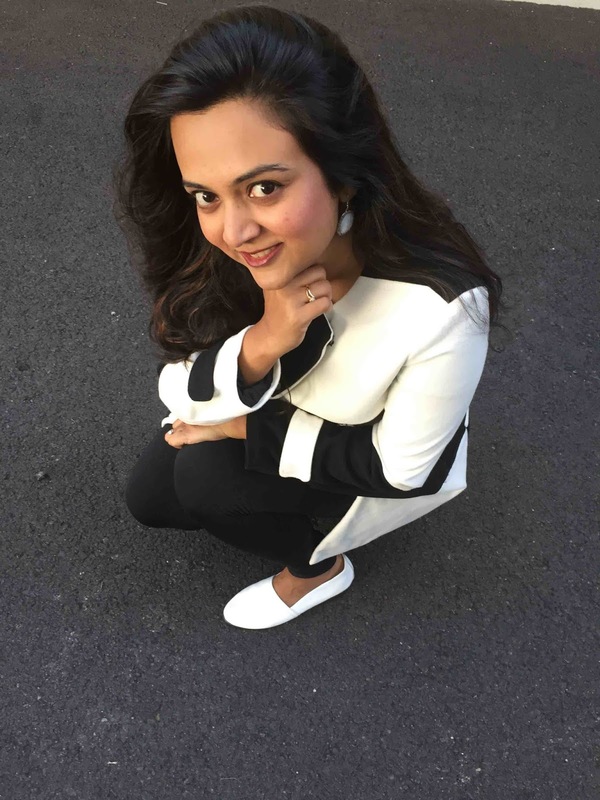 I absolutely adore this black and white coat from Kahini Kreative. The black and white fabrics are mixed in perfect quantities and length. 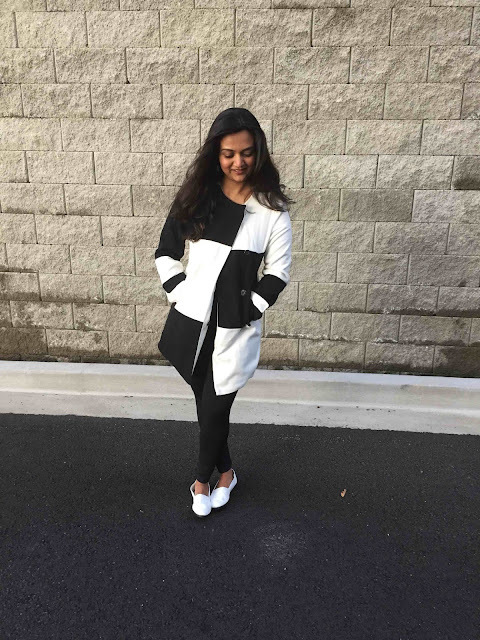 This black and white coat reminds me of the chess board. 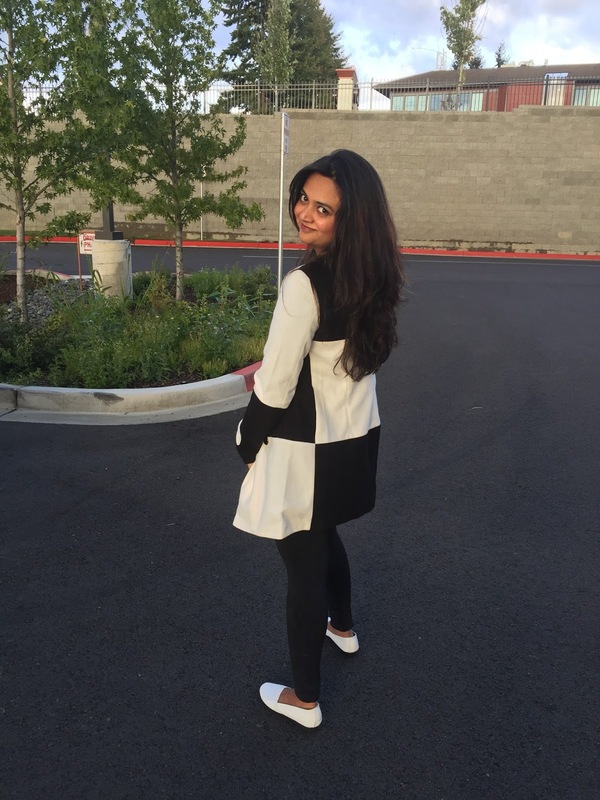 Kahini is having a wide range of designer coats which are on Sale right now ! I absolutely love the way they play with fabrics to create unique style pieces. 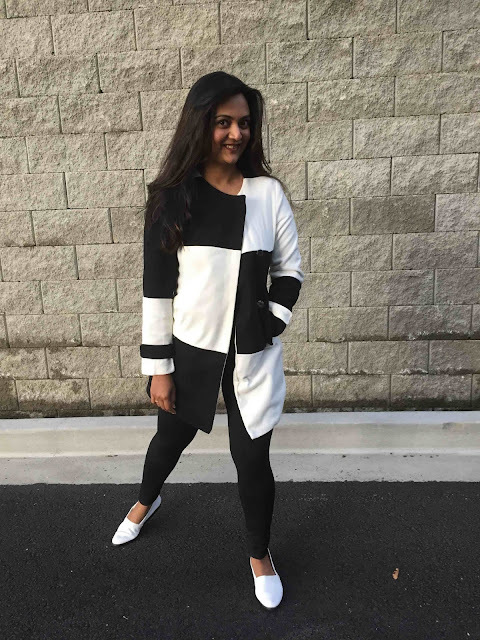 I think this black and white coat styled with black ankle boots and a white skater dress with black stockings would make a fashionable fall look. However I styled it with tights and white sneakers for a causal night. I added white marble earrings to complete the mono chrome look. I love this look, let me know your honest thoughts about it in the comments below. 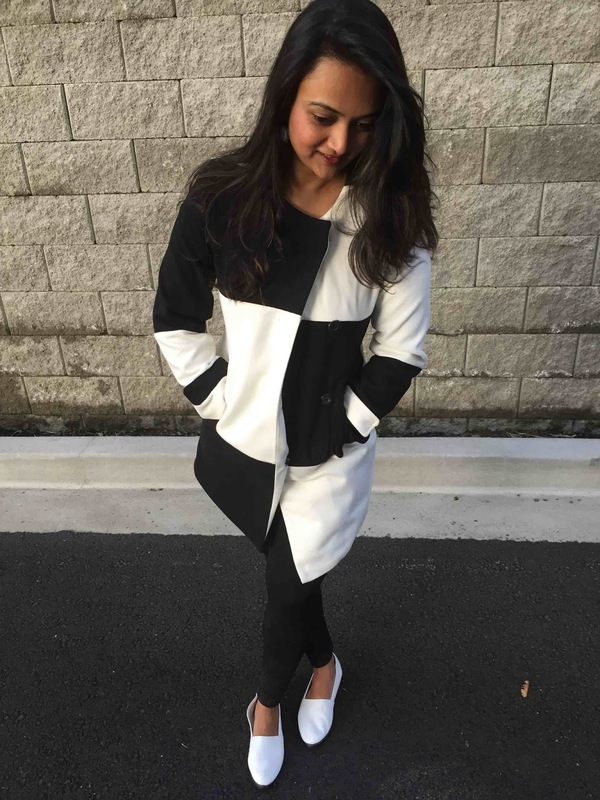 Monochrome can be visually stunning if paired right....I simply adore the coat! WOW...i love the coat. It's gorgeous. N u totally rock it.